1.Take ragi flour in a wide bowl.Sprinkle water and mix. 2.Sprinkle little by little carefully so that when you hold it it should mould and when you drop it should crumble this is the consistency for puttu. 3.Tie the flour in a clean white cloth and place it in a heated idli plate. 5.Remove and allow it to cool add sugar and scraped coconut. 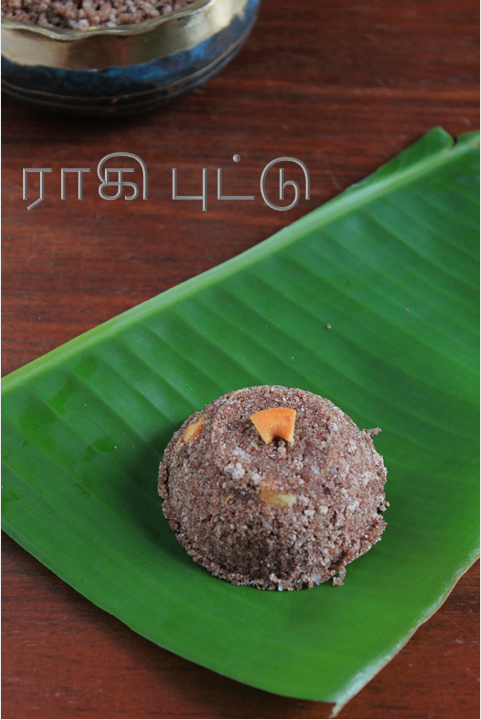 6.Fry some broken cashews and raisins in a tbs of ghee and pour over the puttu. 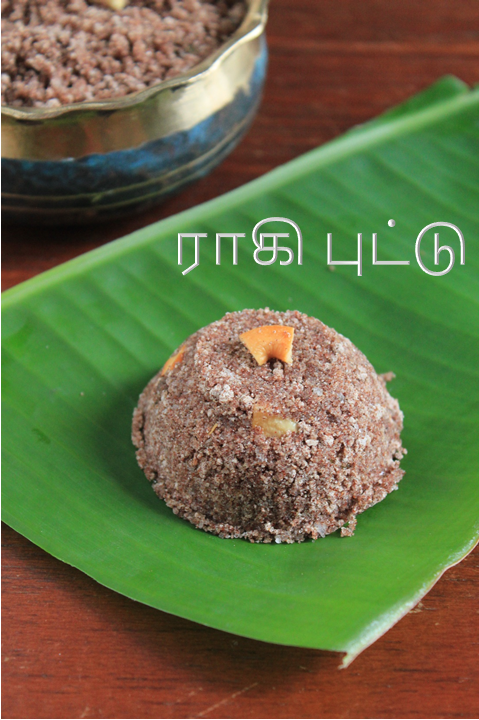 Enjoy the delicious healthy puttu along with your breakfast! 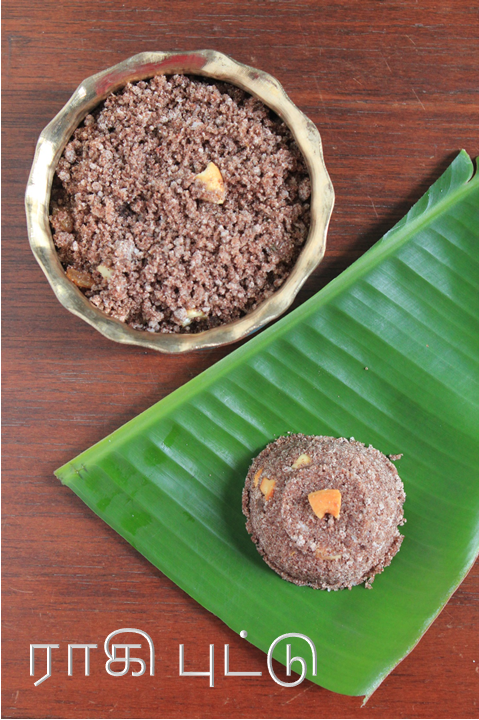 Use sugar,jaggery or palm candy for the sweetness and adjust the quantity according to your taste. Some people add a pinch of salt to the flour,you can do so if you wish. If you don't have a cloth just put it in a tall vessel,cover and steam it. Can you please post salt version of this?